ahorasoyuncronopio: Making Change Work: Is the Delhi University style Top Down change model the right approach to transform Indian Higher Education? Making Change Work: Is the Delhi University style Top Down change model the right approach to transform Indian Higher Education? In recent years, I have been increasingly intrigued by the challenges of change, particularly in our higher education system. Almost everyone agrees it’s broken, the disagreement is only on the extent of damage, and how it can be fixed. Given the polarized views and entrenched interests, most policy-makers and administrators prefer to ignore the mess and just soldier on. But, when they do try to do something, they adopt a change model of top down change with little discussion and debate that seems quite contrary to what contemporary management theory endorses as the ideal way to bring about change. This suggests that either their efforts will fail, or these protagonists of change have found a new model of change that works in our context. Delhi University’s change of its undergraduate curriculum from a 3-year discipline-based curriculum to a 4-year integrative curriculum is the big change currently catching the headlines. It’s drawn flak from the left (Jayati Ghosh in The Hindu), the centre (Pratap Bhanu Mehta in The Indian Express), and the right (Swapan Dasgupta in The Times of India). 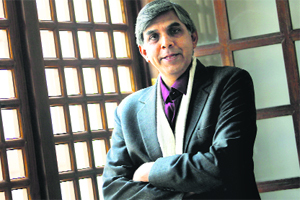 Criticism is about the content of the change as well as the process that Delhi University (DU) Vice Chancellor Dinesh Singh has followed to push this initiative through. And, the failure to refine the content is related to the change process followed. From what I have read in the newspapers, it appears that the VC has got the new curriculum approved using his emergency powers, convening meetings at short notice, discussing items not previously on the agenda, basically circumventing the processes laid down in the relevant statutes. The news reports suggest that this was done to avoid confronting opposition from the Delhi University Teachers’ Association (DUTA) or individual faculty. The university administration’s response has been to paint the DUTA as an interest group determined to protect its own interests rather than the good of the university or its students. But, in the process, the university shut its ears to legitimate criticism as well. The new design seeks to combine vocational and academic streams, something that few countries try to do. It has ambiguous integrative courses which may be well beyond the teaching ability of the average Delhi University lecturer. The syllabi have yet to be fleshed out though the new academic year is just a few months away. And most colleges lack the faculty strength to make the new curriculum work. The DU leadership seems to have been emboldened by the support it has received from the MHRD. MoS Shashi Tharoor has made approving noises about how a 4-year curriculum will make it easier for DU students to go abroad for higher studies. Only, I wonder what proportion of DU graduates pursues such a track, and whether a policy should be crafted with such a small group of students in mind. Contemporary change management takes a view that the kind of top-down change process described above will not work except in an emergency or crisis situation. Instead, change has to be accepted by those involved in making it happen both rationally and emotionally. 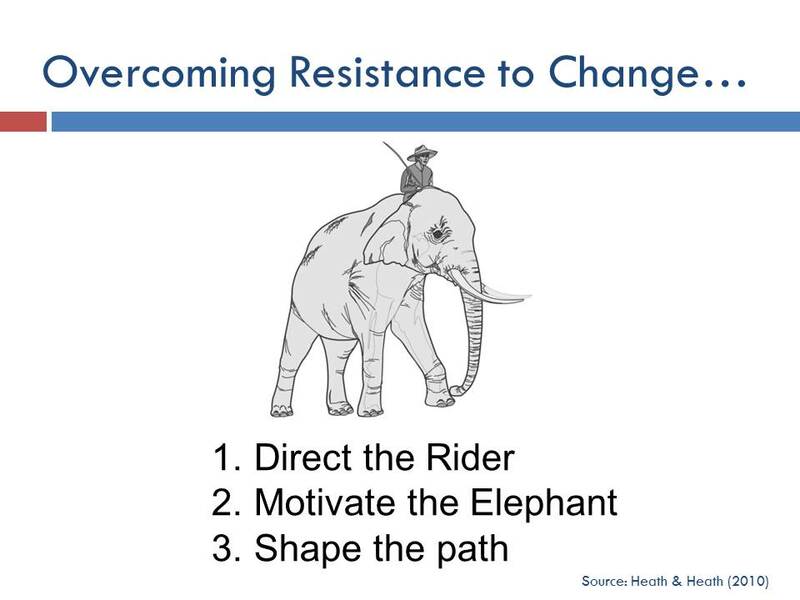 For example, the “Switch” framework developed by Dan and Chip Heath draws an analogy between change and what they call the elephant-rider problem. While our rational side (represented by the rider) may recognize the need for a change, the emotional side (represented by the elephant) tends to pursue behavior that we are habitually accustomed to. 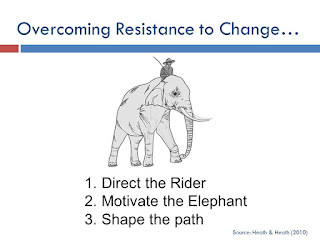 The Heaths suggest that solving the elephant-rider problem involves what they call “directing the rider,” “motivating the elephant,” and “shaping the path.” These are providing clarity regarding direction and goals, appealing to the emotional side, and inducing behaviours which are consistent with the change desired. I don’t see much evidence of these dimensions in what has appeared in the public domain on the DU curriculum change. Will Top Down Change Work in a Democratic Polity? I really wonder whether such top down change will work in our milieu. Remember that the new curriculum is not an abstract concept. It will not get transferred into practice unless the flesh and blood of the DU teachers is firmly behind it. If the new curriculum lacks faculty support, how will it take root? But, there is clearly a middle class “professional” constituency that believes in such change. It believes that change is critical irrespective of the content and process of the change, and that holds interest groups responsible for the bad press that the DU change process has received. I posted the link to Jayati Ghosh’s article on LinkedIn and FB, and here are some of the responses I received from professionals in my network. From a senior HR professional who has taught at one of the IIMs: “…on the point No Substantive discussion and preparation is there for making change........that is acceptable.......but given Indian context .it is better to force change and let things align itself over a period of time. ....."
From a Marketing & Communication expert: “One can have issues with lack of public debate and hasty implementation but there is nothing wrong intrinsically in an approach that widens the choice of courses and offers a menu of core and elective credits leading to different degrees. Also, a new system will hopefully rattle the faculty a bit -- the number of lecturers who have abdicated teaching in favor of canned PPTs and seminars today is a shame." Only one person responded more cautiously: "Corporate world is anyway lamenting the employ-ability of the students for years now. Any change brought into the design of bachelor programs which create uncertainty for the recruiter is not a place where reckless pace is required." Is this then the new model of change – “it is better to force change and let things align itself over a period of time”? Will this work? Only time will tell.